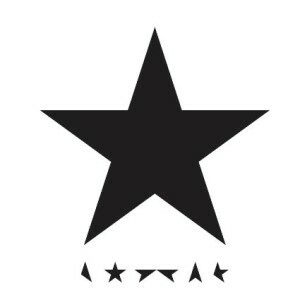 David Bowie’s 25th and final studio album, Blackstar, is akin to a creative goodbye to his dedicated audience released on his 69th birthday just two days prior to his death. As a fan of Bowie, it’s hard not to be sentimental about such music knowing it’s his last, but happily it happens to be genuinely innovate and on par with his life’s work. On first listening to the album Friday afternoon, I recall writing how lucky we are to hear new, authentically interesting songs from an artist of Bowie’s stature and on Monday he was gone. The album suddenly made so much more sense. The themes of death, reflection, and afterlife in complicated, beautiful songs such as the opening title track and “Dollar Days” give insight into his thoughts as he knew his life was coming to an end. The music elevates itself to art free from any need to succeed commercially or prove anything and it may be that element that allows it to be so creative with it’s jazz and theatrical elements woven into Bowie’s stylistic elements. Songs like “Lazarus,” which was also used in his off-Broadway musical, have a depth musically and lyrically that are beyond the norm even for Bowie. There is a real poetic sensibility in the album’s lyrics, the kind of writing you can dig into and examine over time. The music is wistful, deep, and very moving and the seven tracks, two of which were previously released in different forms earlier, will serve to honor David Bowie’s life, proving he maintained his resolve to remain an inventive, original artist until his last day.